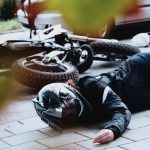 As a Sacramento personal injury lawyer since 1982, I’ve had many cases where people have been seriously injured in a cat, truck or motorcycle accident which resulted in an amputation. The cost of designing and fitting a prosthesis can be very expensive and to my clients without adequate insurance, these life changing injuries can be emotionally, physically and financially devastating. I recently ran across a volunteer network that gives me great hope that technology and community will soon relieve much of the financial burden in terms of obtaining a prosthesis. Many alternative remedies for chronic conditions have been explored in recent years, and one that is receiving an increasing amount of attention from traditional medical practitioners is the use of medical marijuana for relief of chronic pain. A recent study conducted in Australia looked at more than 1500 people who were receiving opioid drugs for relief of chronic pain conditions (not related to cancer). Most were experiencing pain from neck and back injuries, from arthritis or other rheumatological problems, or from severe headaches. 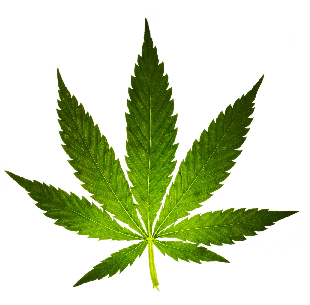 Among this group, about 1 in 6 reported also using medical marijuana for relief of chronic pain in addition to their prescribed narcotic medications. As a group, those who reported using cannabis tended to being having more severe pain and were on higher doses of opiods. Broke your arm in an Accident? What to do? 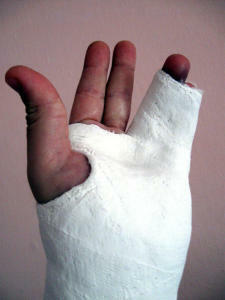 You’re broken your arm, it’s in a cast and you are suddenly feeling very restricted. Things you normally took for granted will suddenly be formidable or impossible to do. From time to time, I find web resources that may be especially helpful to my clients who suffer from chronic pain. Recently, I came across www.PainAction.com which fits the bill. PainAction is a website specifically designed to helped people who suffer from all kinds of chronic pain. I like it because it emphasizes self action, instead of a medical model that encourages those who suffer pain to just “do what the doctor orders”. Managing pain after orthopedic surgery is vitally important to successful rehabilitation and recovery. Proper pain management after surgery allows the patient to begin movement that will result in the most favorable possible outcome. In some hospital settings, a multifaceted pain management approach is employed. Factors such as the patient’s medical history and age are considered by the rehabilitation specialist and that information is used to develop a course of individualized pain management care following orthopedic surgery. 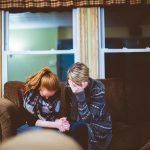 As a Sacramento Wrongful Death attorney, over the past 30 years, I’ve experienced first hand the human toll it takes on families when they lose a loved one. Unexpected and sudden death is a nightmare that seems to endure. You feel your grief will never fade. If you’ve lost some-one close to you, its important to remember how much they loved and cared about you, and how they would never want you to suffer. Does your insurance policy discriminate against Chiropractic Care? 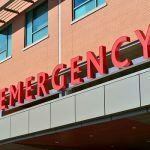 As an experienced Sacramento Personal Injury Lawyer, I know how important medpay coverage within my clients automobile insurance policy. Esentially, Medpay coverage is an option within your auto insurance which pays your medical bills or the medical bills of anyone in your car injured in an auto accident. Medpay pays regardless of who is at fault in an accident, and I believe having a minimal coverage of $10,000 medpay is prudent. Medpay is very reasonable. 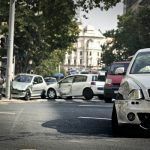 The most expensive part of any auto insurance policy is always the liability coverage which protects the driver or owner if they are at fault in an accident. Today, for the first time in 30 years, I found a medpay provision in an auto insurance policy that takes away from the injured party the right to choose the provider he or she wishes to treat their injuries. As a holistic personal injury lawyer, I see literally hundreds of people each month suffering from the physical and emotional after-effects of trauma. Bessel van der Kolk MD, is a psychiatrist who has treated traumatic injuries for decades and is a well known author of several very readable books on PTSD and the effect of severe trauma on the injured person and their families.